I love wearing mascara, especially if it is a safe mascara that works well. Don’t you? Long and voluminous eyelashes make me feel beautiful and even more energized. Over the years in my search for the best safe mascara, I have read ingredients of and tried many mascaras made with natural and organic ingredients. Cosmetics creates an additional challenge for us consumers. Besides doing our best to avoid ingredients linked to cancer, endocrine disruption, allergic reactions, and irritation, which are commonly found in products we apply onto our skin, cosmetic colorants may contain heavy metals. Every time independent researchers conduct actual tests of makeup, they find heavy metals such as lead, cadmium, arsenic, mercury, and others from which I have concluded that any makeup, whether it is petroleum-based or mineral-based, may contain trace amounts of heavy metals. To read more about that, please head over here. If the problem were only trace amounts of heavy metals, that would be okay considering you are not ingesting makeup; in theory, anyway. However, some independent tests have shown that some products may contain disproportionally high levels of heavy metals. Cosmetics companies rely on documentation provided by their pigment or dye suppliers to know amounts of heavy metals in the ingredients they use. For example, Beautycounter used to claim that they have taken matters in their own hands and conducted their own testing for heavy metals on an ongoing basis. However, when I asked them to show me their test reports or tell me their test report results, they said they would only show them to me if I promised not to disclose anything about the test results. You can read my 2-year story with Beautycounter on this matter here. With that said, I can’t give up using makeup. I wear it with caution though. For instance, I rarely wear lipstick and, if I do, I wipe it off before eating or drinking. 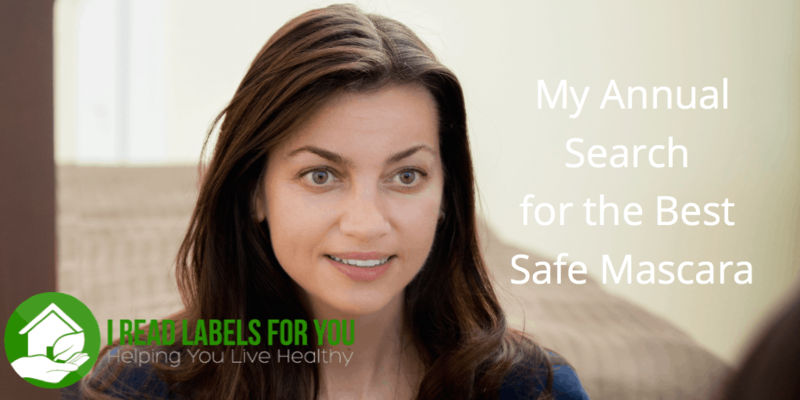 In this 2018 best safe mascara guide, I am including mascaras that come pretty close to my ideal standards. I have not tried all of them, but for those, I have tried, I will tell you my opinion about their performance. I have also incorporated another metric, which I have found very helpful. Kris Carr, a wellness activist, asked her followers to rate mascaras on volume, definition, and wear, and this information is really helpful. When I selected mascara, I checked to see if Ms. Carr and her followers had rated it and if so, I also provide their rating. That said, let’s now talk about my best safe mascara options. The first best safe mascara on the list is the one I currently use and like the most. Dimethicone: While there is a lot of negativity on the Internet about this ingredient, the information lacks references. Over the years, I have searched high and low and was unable to find any scientific evidence linking it to any ill health effects. Instead, I found comprehensive evidence of it not being harmful (Ullmann’s Encyclopedia of Industrial Chemistry) and even found information indicating that it is effective to treat contact dermatitis. C20-40 Alcohol: In the Skin Deep database, it is described as a mixture of synthetic fatty alcohols with 20 to 40 carbons in the alkyl chain. It is rated 1 in the Skin Deep database, but has no data. Preservation System: There are 6 certified organic botanical extracts used to protect the product from bacteria and mold contamination. They are organic oregano leaf extract, organic thyme extract, organic olive leaf extract, organic rosemary leaf extract, organic lavender flower extract, and organic goldenseal root extract. Because these are not as powerful as synthetic preservatives, Crunchi recommends using this safe mascara within 3 months. This is how long it lasts anyway, if you use it every day. Mineral Pigments: Crunchi uses only mineral pigments, no synthetic petroleum-based ones. The mineral pigments are EcoCert certified, which guarantees that they are 100% natural without any synthetic additives/components and none of the Crunchi pigments are made in China or other Asian countries. While the EcoCert certification means that the heavy metals adhere to the European limits for 12 heavy metals, not only 3 like in the US, the EcoCert certification does not guarantee that the mineral pigments are free of heavy metals. That’s why it is important to know that they are not made in China, because the background levels of pollution in China are very high and regulations are almost non-existent and thus there is a bigger chance of heavy metal contamination. In my experience and from what I hear from others, this is the best safe mascara. It does not shed or leak – no raccoon eyes for sure. It offers an excellent definition and more volume than a lot of other natural mascaras I have tried. Please know that it gets better after a few uses when it is exposed to the air. This best safe mascara offers comparable performance to the Ecco Bella mascara. By the way, I had to discontinue using the Ecco Bella mascara because it started making my eyes itchy. I might have developed sensitivity to phenoxyethanol (but I have not tested that theory though). You can read my review of Crunchi non-toxic makeup brand. Palmitic acid: while it appears to be safe, there are concerns that the demand for palm oil causes rainforest destruction and orangutan population endangerment. Ecco Bella informed me that the palm oil they use is sustainably sourced and has been certified as a sustainable palm oil. Clay: as part of the Earth’s crust, clay is composed of a variety of minerals including toxic ones such as lead, cadmium, bismuth, aluminum, etc. Clays differ in their composition. Here is an example of clay composition. Considering the small amount of clay used, I believe that the amounts of toxic minerals in clay are probably below the levels of heavy metals we are exposed to every day in food and water. I requested the clay’ composition from Ecco Bella and will update the post if I receive a response. Phenoxyethanol: This is a preservative, which is of some concern. It appears to be relatively safe; however, some people may develop an allergic reaction to it (source). I wish the company used a different preservative. On the positive side, it is a very effective preservative. I’ve seen lots of products where no antibacterial preservatives are listed. I would rather use a waterless product not requiring preservatives or a well-preserved product, especially around my eyes. Bacteria can be pretty nasty. 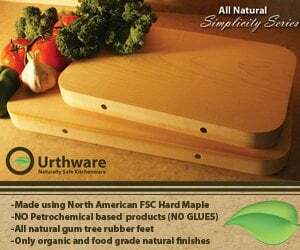 By the way, the EWG allows its use in their EWG Verified certification. Iron oxides: a mineral colorant that may have trace amounts of heavy metals. There is no statement on the website regarding testing for heavy metal. In an email to me, they indicated that their products are lab tested for lead, cadmium, and mercury. I am waiting for clarification on this statement and I have asked to see their test reports. I will update the post as soon as I receive a response. I found that Ecco Bella mascara does not shed at all, even in a hot and humid climate. Ecco Bella mascara is what I used before I found the Crunchi safe mascara. It is easy to apply, provides a great definition, and a good amount of volume. I used it for a year or so with no problem but recently had to discontinue using the Ecco Bella mascara because it started making my eyes itchy. I might have developed sensitivity to phenoxyethanol (but I have not tested that theory though). Mica, CI 77891, CI 77499: a mineral colorant that may have trace amounts of heavy metals. I do not see any statement regarding heavy metals on the website. I contacted them and have not received any response yet. Hectorite: a rare soft white clay; traces of toxic minerals aka heavy metals may be found. Essential oils: rosa damascena flower oil; some people may be allergic to the components of essential oils; also it would be better if they were certified organic. Silver Oxide: it appears to be not harmful to health in small quantities; however, it is listed in Environment Canada Domestic Substance List as persistent in the environment and inherently toxic to aquatic organisms. Mica: a mineral colorant that may have trace amounts of heavy metals. Oryza Sativa Germ Powder (Rice Powder): may be contaminated with arsenic (of course the amount of arsenic is far below the amounts we consume with rice foods) and pesticides. The plants the ingredients derived from are not organic; thus, there might be traces of pesticides. I used it a long time ago and if I remember it correctly, its performance was pretty good – no shedding and great definition. 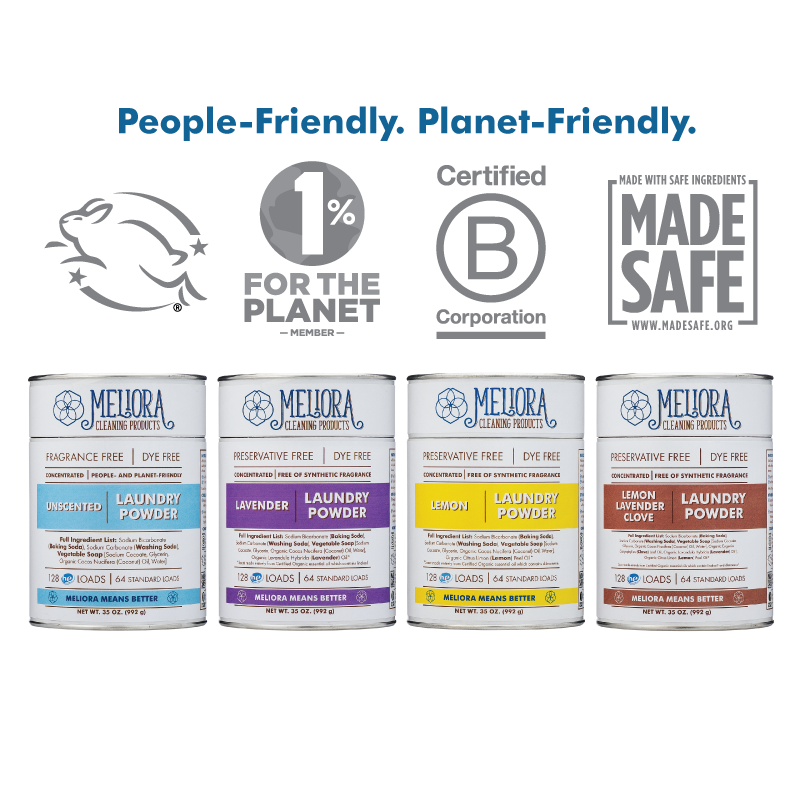 100% Pure, unlike anybody else, claims to use pigments derived from fruits and other plants. 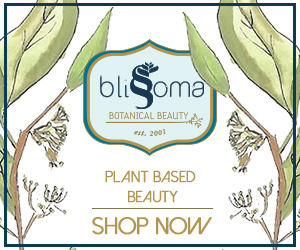 With the exception of henna, plant-derived pigments are not approved by the FDA. There is virtually no data on their safety and stability. The answers that I received from them regarding their pigments and other ingredients did not make me feel assured. Also, I keep wondering if fruit and plant pigments work so great, provide a variety of colors, and heavy metal-free, why is 100% Pure the only company that uses them? By the way, for those who feel discouraged by the statement above that I may get paid commissions by companies that I endorse, you should know that 100 Percent Pure has an affiliate program so in this case I could have been paid commissions for raving about their products. You might be surprised that I recommend Dr. Hauschka’s mascara even though it is rated 6 in the Skin Deep database. To understand why, it is important to know exactly how the Skin database rating process works. The only ingredients that downgraded Dr. Hauschka mascara’s rating are fragrance (parfum), citronellol, geraniol, and linalool. Because Dr. Hauschka is a European company, it is required to adhere to the European labeling rules, which require disclosure of the word “fragrance” regardless of whether the fragrance is synthetic or comes from natural plant-based ingredients. Dr. Hauschka does not use synthetic fragrances in any of its products; hence, they meet rigorous natural standards by the European organization called Natrue. As for citronellol, geraniol, and linalool, they are not separate ingredients or chemical additives but rather are part of the essential oils used in the product. And again, per European requirements, they have to be listed separately from the essential oils they are part of, probably because some people have allergies to them. In fact, citronellol and geraniol are major of components of rosa damascena flower oil, which is rated only 1 in the Skin Deep database while citronellol and geraniol are rated 5 and 7 respectively. Thus, it appears that Dr. Hauschka’s rating of 6 in the Skin Deep database is due in large part to the fact that it has to list its ingredients to much stricter standards than those to which its U.S. counterparts are subject. Mineral pigments: again they may be contaminated with heavy metals, and these will not show up on the list of ingredients. Preservatives: Dr. Hauschka claims that they use alcohol to preserve their products, including this mascara. I have not been able to find any supporting evidence that alcohol works as a preservative in quantities that would allow a product to be non-drying and non-irritating. I like the way it feels – very light on my eyes. It creates good volume and is easy to spread evenly. However, towards the end of the day, it sheds, creating the dreaded “raccoon eyes” effect so I have to check and may have to wipe it under my eyes. Because of that and the uncertainty about preservatives, I switched to the Ecco Bella mascara. Iron oxides: a mineral colorant that may have trace amounts of heavy metals. I was excited to come across it because Rejuva Minerals are EWG Verified and use safer preservatives such as Gluconolactone and Sodium Benzoate. I was also excited that they test their products for heavy metals. Unfortunately, when I asked for a sample of a test report, they said that would forward my request to the company owner to see if she wants to share any confidential information. This was on April 25, 2017, and I have not heard from them yet. Please let me know in the comments if you think we as consumers should be able to see heavy metal test reports. While waiting for their response, I purchased the mascara and used it. Unfortunately, it shed making raccoon eyes. If you have used Rejuva mascara, please let us know in the comments how you liked it. Ingredients: Aqua/Water/Eau, Algae Extract, Cera Alba (Beeswax), Stearic Acid, Glycerin, Copernicia Cerifera Cera, Hydroxyethylcellulose, Panthenol, Hydrolyzed Wheat Protein, Cellulose, Raphanus Sativus (Radish) Root Extract, Oleic Acid. I was excited when I saw the ingredients. They use my favorite preservative: Radish Root Extract. I was also excited that they have a statement on their website that they test all of their products for mercury, arsenic, lead, and cadmium. And I was impressed how quickly they responded to me and answered my questions. Unfortunately, they said that the heavy metal testing reports are proprietary. I did not have a chance to try Jane Iredale mascara. The Amazon reviews are mixed. Let us know in the comments what you think about it. Currently, my pick for the best safe mascara is Crunchi Lashes for Days mascara because it is a transparent company and the mascara performs very well. Please read my review of Crunchi brand here. I am always on the lookout for new products to try so I will continue updating this best safe mascara guide annually. There are things that I would love to see improved. I believe more transparency and regulations are needed for heavy metals. Do you agree? Please share your thoughts in the comments. And lastly, are you curious about some other brands of mascara, not mentioned in here? Please know that I am available for a 15-min consultation to answer any questions you might have. To read my experience with heavy metals, please visit here. I have used 100% pure and I use Tarte. Was Tarte tested? What about bare minerals products. I do have to say that 100% pure is about the best smelling mascara I have ever tried! Thanks for your articles I like to keep updated. Hi Elaine: unfortunately, Tarte is not as clean. It is rated 3 by the EWG and I would have rated it even lower. Oh wow. Thanks Irina. Good to know as it’s the one I’m currently using. thanks again for another informative post. I too have been using 100% pure mascara (as well as their foundation, concealer and blush) after reading one of your prior posts a while back highlighting their lipstick. Agree that the mascara does run by the end of the day, but I’ve been willing to accept this to have a cleaner product. (it’s not terrible for anyone who wants to try it) they also have a very generous return policy if you don’t like something (if I recall correctly) – though I did recently get notified that they are raising their prices. Such is life… All in all, I’m very happy with all their products that I use. Thank you, Joy. It is always great to hear from you! I’ve spent the last few days scouring the we web for a reliable mascara. Not only am I searching for an organic, non-toxic blend, but also gluten-free (preferably certified). And you’re right… the perfect mascara just does not exist! I likely would have tried 100% Pure if it didn’t contain wheat protein. After reading through your post, I’m wondering why you didn’t list titanium dioxide as an ingredient to consider in the Ava Anderson blend. It was actually this, in combination with the other mineral colorants that deterred me from trying it. Maybe you read something about it that I have yet to come across? Hi Kristen, thank you for pointing it out. The reason I let titanium dioxide “slide” is that I have not see anything linking it with heavy metals. But you are right it is not a straightforward ingredient. By the way, I have tried Ava Anderson mascara recently and I found its application too thin. I am back to 100% Pure. Let me know if you find something better. The 100% is all I can find that is non toxic (ask Irena about lead levels)? It doesn’t lengthen your lashes. Unfortunately, it just sits on my lashes; that’s it. Thanks so much, Irena for giving us the info..
Hi, Irina! Thank you for your informative post! Have you tried or tested the Younique 3D fiber lashes mascara? The after results are amazing and the company claims they only use the “natural ingredients”. Thank you! Thank you, Elena. Could you send me a link to the natural ingredients claim? Irina, here is a link… The ingredients list looks awfully long, it’s a bad sign already, isn’t it? Normally mascaras have a long list of ingredients. It is not too bad but I would not use for me. It depends what your personal goals are for a non-toxic living. And of course how much you love its performance. The biggest concern for me in this mascara are the ingredients that were made with ethylene oxide, because there might be carcinogenic 1,4-dioxane left as a contaminant in the product, if the company did not clean it up. Other than that, it is not too bad. What do you think? Do you still want to use it? Thanks for your wonderful post! I’ve been looking for a reasonably safe water resistant mascara. Do you have any recommendations? I just purchased Blinc Amplified to try out, but I wish I could find a water resistant mascara that had a better EWG rating. I bought it at Sephora because they have a good return policy. I saw some possibilities in the comments section of Kris Carr’s mascara post, but they are only sold online and many sites don’t accept returns. Thank you, Melissa. Hmm… I wonder what ingredient makes it waterproof. Did you look into that? My guess is that a type of wax. Wax can be natural. What rating does it have in the Skin Deep? Hi Irina, I think it’s the beeswax that makes it water resistant. I love the way it applies, and it can be removed with warm water on a cotton pad. The EWG rating for the original Blinc mascara is a 4. Then they came out with Blinc Amplified which is not yet rated. Here are the ingredients for Blinc Amplified: Water, Acrylates Copolymer, Stearic Acid, Propylene Glycol, PEG-8 Dimethicone, Polysilicone-11, Beeswax (Cera Alba), Silica, Glyceryl Stearate, Copernicia Cerifera (Carnauba) Wax, Nylon-66, Aminomethyl Propanol, Sodium Polyacrylate, Tetrasodium Pyrophosphate, Ammonium Hydroxide, o-Cymen-5-OL, Laureth-12, Methylisothiazolinone. May contain: Titanium Dioxide (CI 77891), Iron Oxides (CI 77489, CI 77491, CI 77492, CI 77499). It is not too bad… but it does not meet my strict criteria. I try to avoid petroleum ingredients and the preservative methylisothiazolinone used is one of the worst ones. It is rated 7 in the Skin Deep. I do not even like it in dishwashing liquids. I am sorry to disappoint, Melissa. I hate being a bearer of bad news. I wish we had more safe products. I will keep in mind your quest for a waterproof mascara. And I will let you know right away if I find something better. Hi Melissa: It took time to look through the ingredients and I think this mascara is a better choice for you. I like that it uses only mineral pigments. Are you curious how you can tell if mineral pigments are used? And the preservative is a better one, not quite what I would hope for but much better than methylisothiazolinone. Hi Irina, I’m glad the Pacifica Aquarian mascara is a good option! I’m going to Whole Foods to pick one up, and I’ll let you know how I like it. Yes, I would love to know how to tell if mineral pigments are used. I actually really like Pacifica’s mascara. It’s very affordable at $13 and I find the ingredients acceptable. Have you ever tried it? Thanks, Lara. No, I have not tried it. I will look into it when I am shopping for a mascara next time. Great recommendations- I love my 100% pure lip and cheek stain, so I’ll definitely try the mascara. 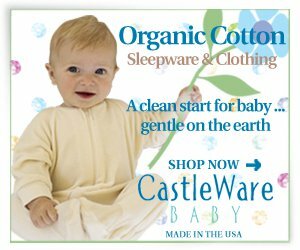 What are your thoughts on Physician’s Formula Organic Wear? I’ve had great luck with that, no raccoon eyes, and it’s less than $10. Hi Grace: thank you for your comment. I went back to look at the ingredients of the Physician’s Formula mascara to remember what stopped me from including it in the list. Magnesium aluminum silicate gave me pause. I have not seen much information one way or the other about whether aluminum would be absorbed through the skin. I also do not like that they use the word “organic” in a way that can make people think that their products are organic. But again, overall the mascara is better than a lot of other mascaras I have seen. It depends how picky you want to be. What do you normally do when in doubt? Thanks so much for this post Irina. I agree, it is very difficult to find a good non-toxic mascara. I thought I had hit the gold mine with Cherry Blooms fiber lash mascara. It’s rated 1 on EWG and it works amazing. I really love it. I do wonder though if it’s too good to be true and it’s not truly non-toxic. Hi Suzie, could you send a link to the ingredients? Thanks. Hmm… There is water in the formulation but I do not see any preservatives. The ingredients listed are okay. Could you email and ask them what they use to preserve the product and how long it lasts. Thank you, Suzie! Sure thing! I’ll let you know when I hear back. They said they use beeswax for the preservative and has a shelf life of 3 years. Is this ok? Hi Suzie, beeswax is not a preservative. So if there is water in the formulation, there is a risk of bacteria and mold contamination. Interesting….. good to know. I guess it was too good to be true. Hi Irina, I tried the Pacifica Aquarian Gaze Mascara, and the jury is still out in terms of performance. The formula seems dry and very little product comes off the brush during application. I’m going to keep looking at other water resistant mascaras. CoverGirl NaturLuxe may be the next best thing. Thank you for letting me know, Melissa. And you can gauge the safety of CoverGirl NaturLuxe using my shortcut method here. Keep in touch! Thanks Irina. Looks like CoverGirl NaturLuxe has been discontinued. Back to the drawing board 🙁 I’m going to call Pacifica and find out if there’s anything I can use on my lashes to improve the product application. Will let you know what I find out. Maybe a lash primer would help. Jane Iredale makes one. Here are the ingredients: Aqua/Water/Eau, Algae Extract, Cera Alba (Beeswax), Stearic Acid, Glycerin, Copernicia Cerifera Cera, Hydroxyethylcellulose, Panthenol, Hydrolyzed Wheat Protein, Oleic Acid, Raphanus Sativus (Radish) Root Extract. Anything look suspect in there? Whew! That’s great news, Irina! If I try it I’ll let you know how I like it. 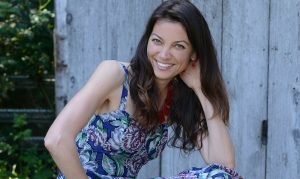 Hi Irina, I just found your blog and am so grateful! It takes so much time to research and you are the first blog I’ve found that has actually done the work! Thank you sooo much! 🙂 I was wondering about No Miss mascara. I looked at the ingredients on Thrive Market and they “seem” to be okay? Thanks again! Hi Irina, I have been looking for an natural and organic mascara for some time now, and recently came across a company called Dizao. The company maintains their mascara is 95% organic and is certified by the USDA. Have you heard of this company, or indeed their mascara? I know this is an old post, but I wanted to purchase Dr. Hauschka Volume Mascara through your link as to sometimes it also supports your website and such but it doesn’t seem to work. I found another website that is currently offering 30% on his masacara and would be thrilled to send it to you if you were interested in posting it in the post. Thank you for everything you do! Ecco Bella was the first brand I tried when I started trying to find a cleaner mascara – but it gave me racoon eyes. =( I’m currently using W3ll People Expressionist Mascara. I wonder what you think of that one? (It uses Potassium Sorbate and Sodium Benzone; full ingredients list below.) Before I tried W3ll people, I also used Red Apple Lipstick Mascara which does use Phenoxyethanol as a preservative (it was the one that smudged the least on me so far). I learn so much from you. You complete what I start (or think about and wish to research). What about Maia’s Galaxy. Mascara Ingredients: Water, Sodium Hyaluronate, Aloe Barbadensis (Aloe Vera) Powder, Seaweed Gel made from the Algae Extracts of: Sargassum Filipendula Extract, Hypnea Musciformis (Hypneaceae) Extract & Gellidiela Acerosa Extract, Euphorbia Cerifera (Candelilla) Wax, Copernicia Cerifera (Carnauba) Wax, Acacia Senegal Gum, D-Panthenol, Tocopherol & Iron Oxide (77499). Much appreciation. I like Honeybee Gardens mascara. It’s a 1 in EWG with limited data. I used to use Ecco Bella but it started drying out too fast for me to use it. I am going to try Ecco Bella. I haven’t found any mascara that doesn’t make my eyes itch, although I have no other allergic reactions to anything! I do not use a foundation, but use a mineral makeup that I like. Thanks for your diligence!! I absolutely believe we have a right to know what is in the products that go on or in our bodies! I use Ecco Bella on a daily basis and Tarte (waterproof version) for special occasions. I have tried a bunch of different ones and Ecco Bella is the best so far, but leaves something to be desired. It does not give me problems with raccoon eyes, but I do find that the application is very thin and I have to do multiple coats even though my look is natural – but one coat makes no difference at all. I also find that it dries out quickly. I also tried Physicians Formula Organic Wear which is available at a lot of drugstores – I found it was similar to Ecco Bella but with a terrible applicator. Very good price though. As for Tarte, I have the opposite problem – I use one coat sparingly and that is plenty. It’s a bit trickier to apply and avoid clumping, but once it’s on, it is really on and it is not going anywhere! It’s tough to remove – I use an oil cleanser to remove it and I usually have to wash 2-3 times to remove it. That is the main reason I only use it for special events. I just checked the rating in EWG and it has a 4 but it says “Old formulation” – does this mean they’ve changed their formula? Is it better now? Also have you looked at the Juice Beauty mascara? That’s one I have been meaning to try. Thanks for all of your reviews. I read every post you write and I appreciate the obvious hard work that goes into your research. I’m really pleased that you take this task upon yourself and I appreciate all the work that goes into it. EWG was my go to before buying anything I use – be it for cleaning or for personal use. I tried Ecco Bella and liked it but I’m always on the lookout for different products and, so, decided to try Rejuva. Like you, I found that it sheds and, with summer coming and living in a very humid climate, I was afraid I’d be walking around with raccoon eyes all day. I have purchased (but not yet tried) Rejuva’s water resistant Mega Lash. I’ll let you know how it works once I’ve tried it. Irina, thanks for the mascara guide. I have ordered the Ecco Bella FlowerColor. I have not found a clean/relatively clean mascara that stays on my eyelashes. It ends up under my eyes. I tried Jane Iredale a few years ago and it’s terrible. It’s very dry and flakes off. I have also tried Beautycounter, Bare Minerals and MineralFusion. Nothing stays on well. I hope the Ecco Bella FlowerColor is better. I am also in search of an eye liner that goes on easily and stays on. Due to my age and the shape of my eyes, my upper lids touch the top of my eye and eye liner ends up there instead of on my lid. Any ideas? I am very disappointed in your essay on Beautycounter. I wonder if they are hiding something. Because their whole line was approved by the EWG, I had started to move toward their products so this is a terrible blow. You love mascara but my love is lipstick. I see why it’s hazardous though since you ingest a lot of it. Are there any clean lipsticks? I am loving this newer company called Hynt. I love their mascara. No flaking or smudging and good coverage with first application. I was wondering if the source of Lecithin matters to you since it is organic? 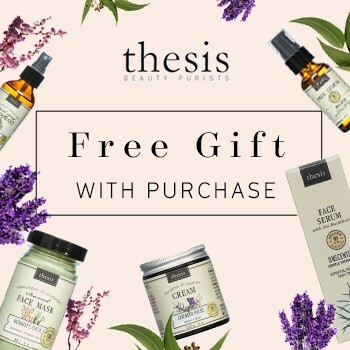 Here are their ingredients: Water (Aqua), Chamomille Hydrosol (Matricaria Recutita)*, Cera Alba (Beeswax)*, Copernicia Cerifera (Carnauba) Wax, Shellac, Stearic Acid, Organic Oryza Sativa (Rice) Powder*, Organic Helianthus Annuus (Sunflower) Seed Oil*, Sodium Hydroxide, Glycerol, Lecithin*, Tocopheryl Acetate (Vitamin E), Origanum Vulgare (Oregano) Leaf Extract*, Thymus Vulgaris (Thyme) Extract*, Cinnamomum Zeylancum (Cinnamon) Bark Extract*, Rosmarinus Officinalis (Rosemary) Leaf Extract*, Lavandula Angustifolia (Lavender) Flower Extract*, Hydrastis Canadensis (Goldenseal) Root Extract*, Citrus Medica Limonum (Lemon) Peel Extract*, Caprylyl Glycol, Iron Oxides. I sure will. Ill let you kmow what I find out. Thanks. I agree with racoon eyes on Rejuva. Not everyday but many days and I just didn’t like the way it performed. It’s not waterproof either-not that I look for that in a mascara anyway but if it claims to be it should be. I have tried Rejuva, Jane Iredale, and Crunchi mascaras. I won’t continue with any of them due to poor performance. 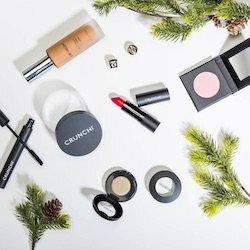 I wanted to LOVE Crunchi mascara! I ordered their lip gloss and it is outstanding. Crunchi PRO: It is the most water resistant mascara I have tried – no mess when/if my eyes water. Crunch CONS: A) The pigment needs to be deeper, darker, B) It takes twice as much product (as compared with Tarte, for example) to provide adequate coverage, and C) It seems to have a lot of clumps. I really HOPE they improve the mascara to the point that it is a viable alternative to the best one I’ve tried (Tarte) because I’d like to be able to have an exceptionally clean product AND great performance. Hi Irina…have you tried Poofy Mascara? The company actually makes 2 different Mascaras; one is the HD Mascara. I would like to know your opinion on these 2 Mascaras and also, Toups and Co. ( formerly Crunchy Organics) Mascara. Both companies use very clean ingredients and get rave reviews. I absolutely agree that companies should let consumers see the heavy metal analyses of their make-up products (at least some products). Hope somebody makes a start soon! I am hoping to wear mascara this Halloween (haven’t worn in years and it’s a drag). Big problem: I’m allergic to bee’s wax. I am actually thinking of making my own mascara……maybe using egg and some kind of pigment. Have you ever tried any ROOT products? My mom and sister use their mascara (onoy kind they have found that doesn’t irritate their eyes) and I have a friend who uses their makeup and loves it. Made in my state, the great state of Iowa! Yes! You are so right! It does moisten up after use… how weird! Still a little dry, but sooooo much better. I LOVE it! 🙂 no panda eyes either. Irina, have you tried Toups & Co Mascara? It is the best Mascara I have ever used. I really never used Mascara much because of clumping, application and Raccoon Eyes. This Mascara is perfect in every way. I haven’t tried the Crunchi but I would love to know your thoughts on the Toups brand. I used Pure Anada mascara for about 2 years with no problems. However, I have developed pink eye whenever I use it. I have exhausted all other mainstream make up brands-but I love wearing make up and am not ready to stop! I am allergic to thimerosal and nickle-any suggestions? I ordered Crunchi mascara and it should arrive soon.